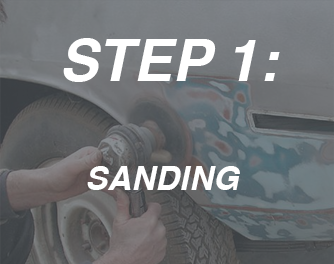 At All-Star Paint & Body the first thing we do is hand and machine sand your vehicle for adhesion. This does not fill or repair chips, cracks or other defects, but makes the surface pliable for proper paint adhesion. This is one of the reasons we warranty our paint service for up to 10 years. 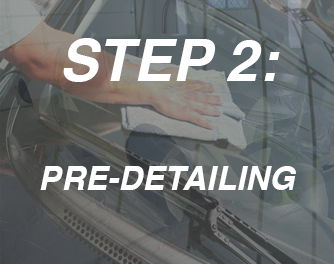 All-Star Paint & Body uses very high pressure air to blow most of the dirt and sanding dust from your vehicle. We then clean the glass and chrome to provide a clean surface to mask. This step helps limit our over spray. 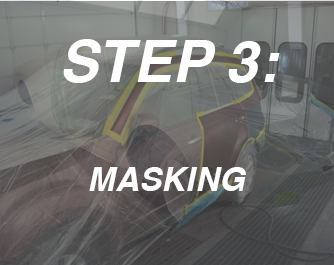 All-Star Paint & Body carefully masks and tapes your vehicle's chrome and glass with specially designed high-grade paper and masking tape to minimize dust and debris. 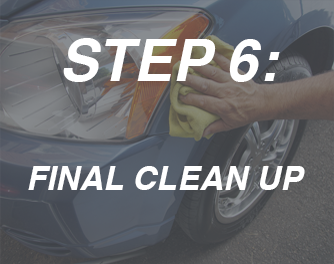 At All-Star Paint & Body, we do our best to keep dust and debris to a minimum on your vehicle. 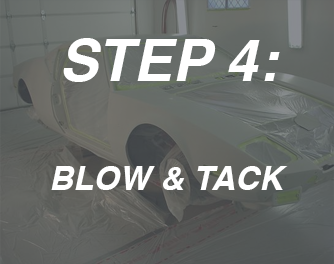 We use a specially treated Tac cloth and very high pressure air to help remove any debris. Production painting is expected to have debris in the paint. 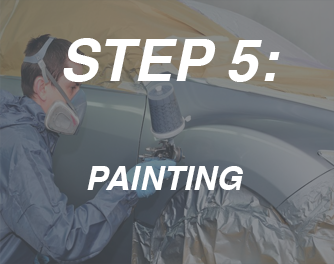 At All-Star Paint & Body we utilize these steps to keep it to a minimum. At All-Star Paint & Body we offer many paint services for your needs and price range. ALL-STAR ONE- uses two coats of paint and offers solid colors that can be applied properly with two coats all with a 1 year warranty*. ALL-STAR TWO- uses three coats of paint and a wide variety of colors, including reds, black and metallic's, ALL-STAR TWO has a greater durability due to its extra coat of paint and has a 3 year warranty*. ALL-STAR THREE- uses four coats of paint, with an integrated clear coat for a deep finish with a 6 year warranty*. ALL-STAR FOUR- includes four base coats and 2 clear coats for our best finish and a 10 year warranty*. After the drying process is finished, we remove all of the paper and masking tape. We then clean the windows and dress the tires. Remember production painting is unlike factory or restoration painting. Not a perfect paint service but a great value and a paint service you and All-Star Paint & Body can be proud of. 4200 W. Desert Inn Rd. © 2017 All-Star Paint and Body. All Rights Reserved.